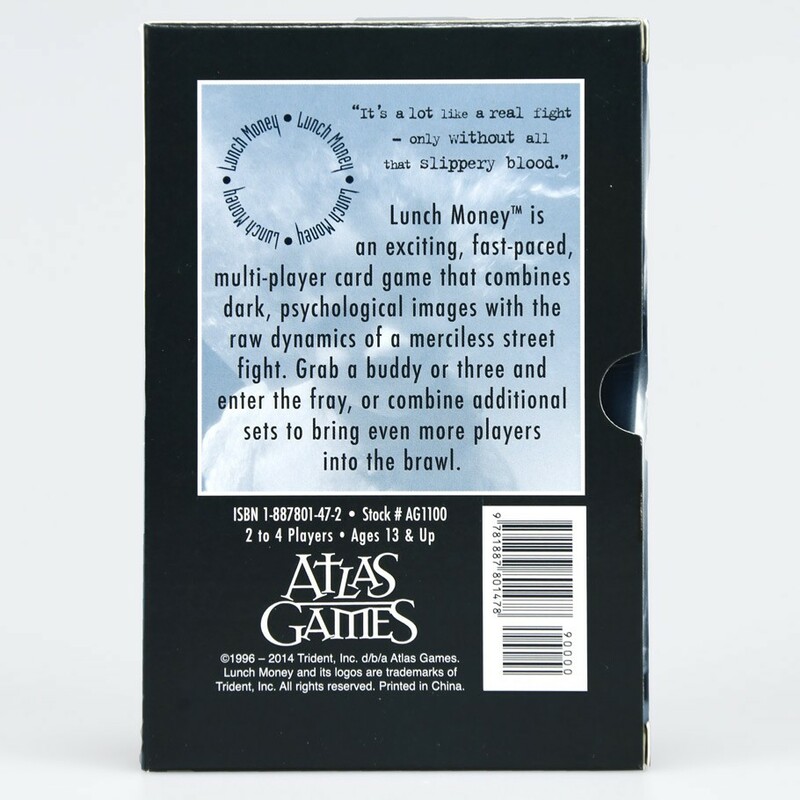 Lunch MoneyAtlas Games ISBN: 1-887801-47-2 (normally 5 per full display)Lunch Money is an exciting, fast-paced, multi-player card gamethat combines dark, psychological images with theraw dynamics of a merciless street fight. 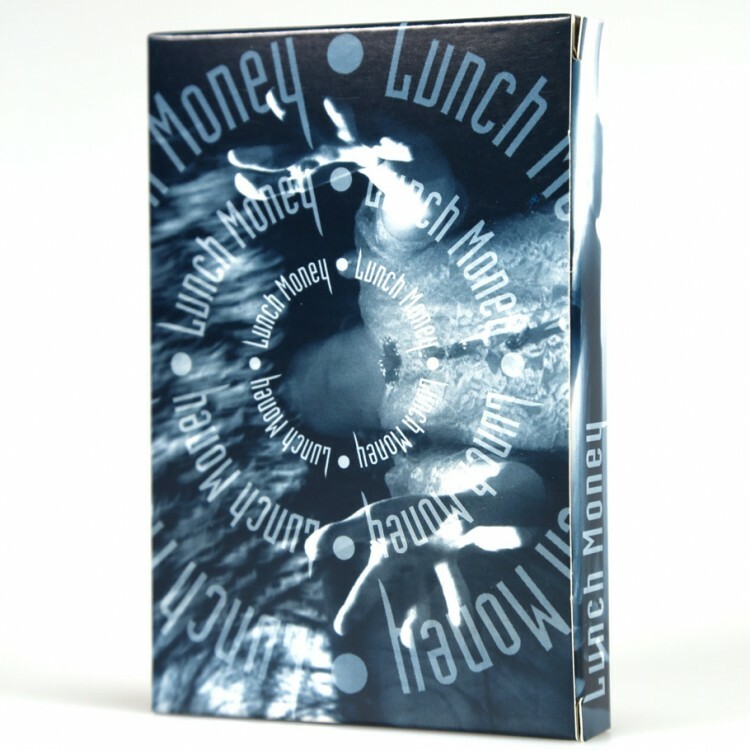 The vivid photographs and wry text make this a game unlike any other, fascinating and amusing and disturbing all at once.This Origins Award-winning game consists of a rules sheet and two decks of 55 poker sized, plastic-coated cards, in a double tuckbox. Each game is complete, and supports 2-4 players (or more, though you may need to reshuffle once or twice or, you can combine two decks to accommodate larger groups). Point-of-purchase displays contain 5 games.